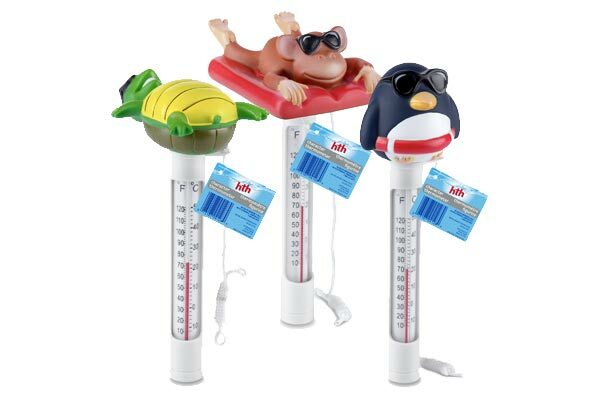 Add Some Fun To Your Pool With HTH Character Thermometers ! You will get accurate temperature reads with HTH Character Thermometers. The Character Thermometers come with a cord for easy installation and attachment. The thermometer’s easy to read display will clearly inform you on what your pool water is going to feel like. The HTH Character Thermometers let you make your entry into your swimming pool, an informed one.